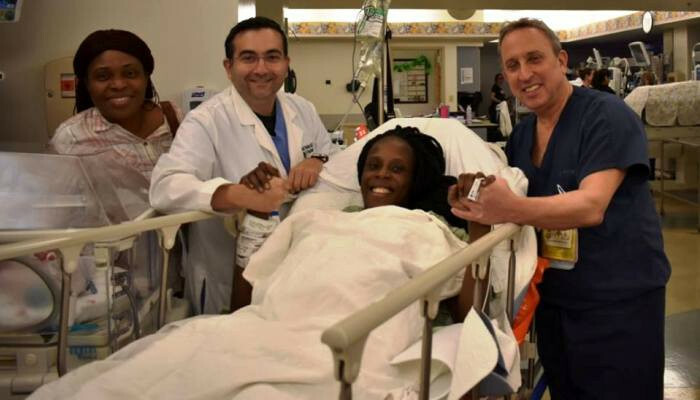 A Houston woman beat the odds of one in 4.7 billion after giving birth to sextuplets at The Woman's Hospital of Texas in the United States. According to the hospital, the woman delivered two sets of twin boys and one set of twin girls between 4:50am and 4:59am local time on Friday. The woman, Thelma Chiaka, is doing well. The babies were born at weights ranging from 1 pound and 12 ounces to 2 pounds and 14 ounces. They are stable and will continue to receive care at the hospital's advanced neonatal intensive care unit, according to the hospital statement. Thelma named her daughters Zina and Zuriel. She was still working on names for the four boys.